ERM Strategies LLC is a consulting and research firm designed to assist Executive Management teams and Board of Directors see which risks or combination of risks could have the greatest impact on their organization. We integrate ERM methodology into the strategic planning process and address risk exposures related to opportunities and threats of the organization. Our goal is to improve an organization’s strategic decision making by addressing potentially devastating threats, exploit opportunities for growth, and manage unwanted variations from expectations. 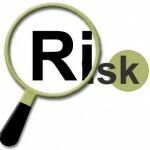 ERM considers all risks that an organization faces, regardless of their source or potential outcome. We look at compliance risk, operational risk, hazard risk, environmental risk, financial risk, and strategic risk and seek to optimize risk taking in relationship to strategic goals. By seeing risk from a holistic, or enterprise wide, approach versus independent silos, such as separate business units, we examine factors in the internal and external environments to identify risks that would impede growth and achievement of established goals.